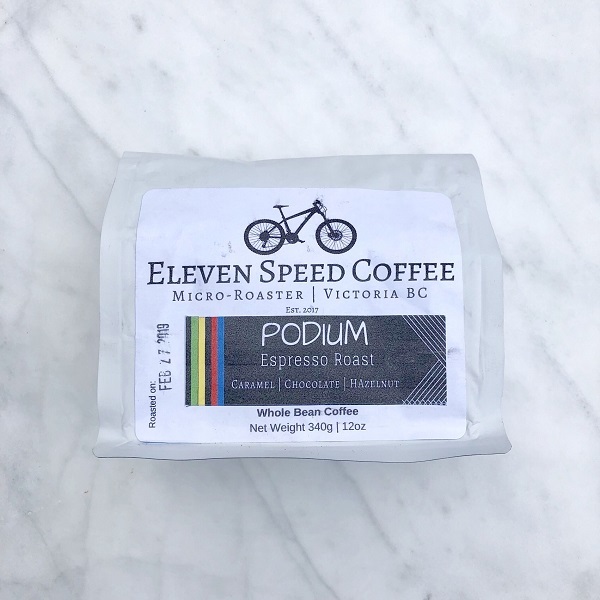 Eleven Speed is a Canadian Coffee Company, from Victoria, British Columbia. This is the second coffee we’ve reviewed from them, and likely the one with the most broad appeal. We’re not sure where the beans come from, but they had distinct aroma of peanut butter. This was a classic espresso, slightly bitter, nice creama, with notes of both of chocolate & caramel. It was not overly strong on one flavor verses the others, but well balanced. As a coffee it certainly would appeal to most coffee drinkers. The blend was a medium to dark roast, but not over roasted. It had a nice lively start, and was true to the espresso shots with caramel and chocolate, and a little more peanut butter finish. Special thanks to Kyle, from Eleven Speed for the coffee, visit them at www.ElevenSpeedCoffee.ca.